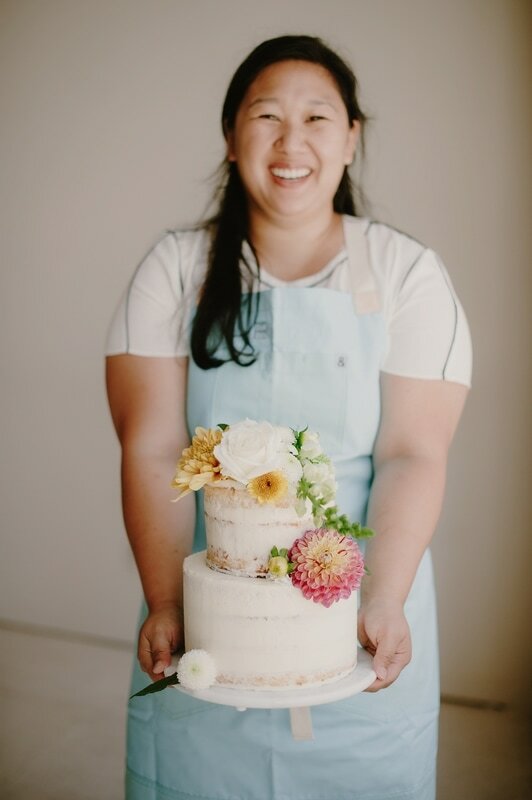 Pastry Chef and Owner, Christina Kim Mathis is a Seattle native who moved to Bozeman Montana to go to college and ski (but mainly ski.) 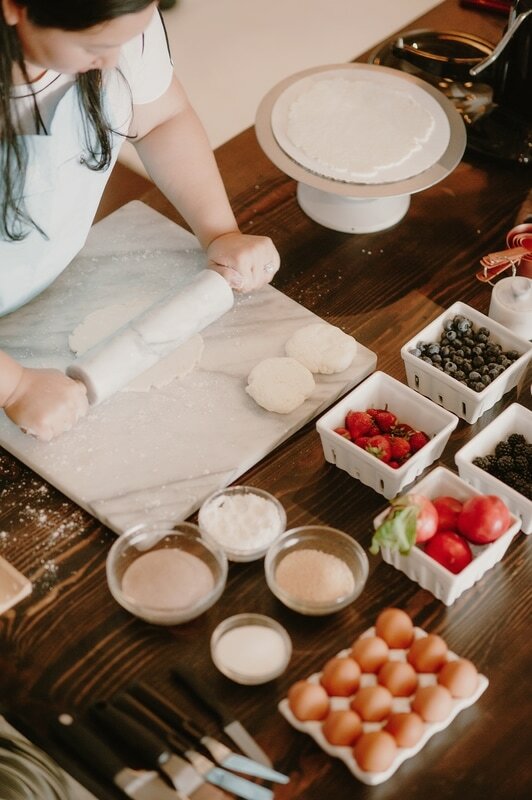 After putting in her time in the University system and competing as a NCAA ski racer, she decided to follow her dream to go to Pastry school. In August 2009, she packed up a U-Haul and drove across the country to New York City with her two best friends and roommates. 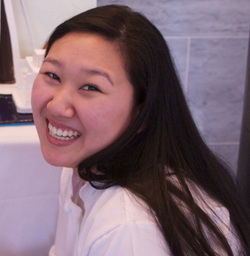 Christina is a graduate of The French Culinary Institute (now known as International Culinary Center) in New York City where she finished the top of her class learning from the industries best, such as Jacques Torres and Ron Ben-Israel. She started her career working at Mayfield Bakery & Cafe in Palo Alto, CA and continued on to work for The Ritz Carlton in Lake Tahoe and Half Moon Bay, CA. 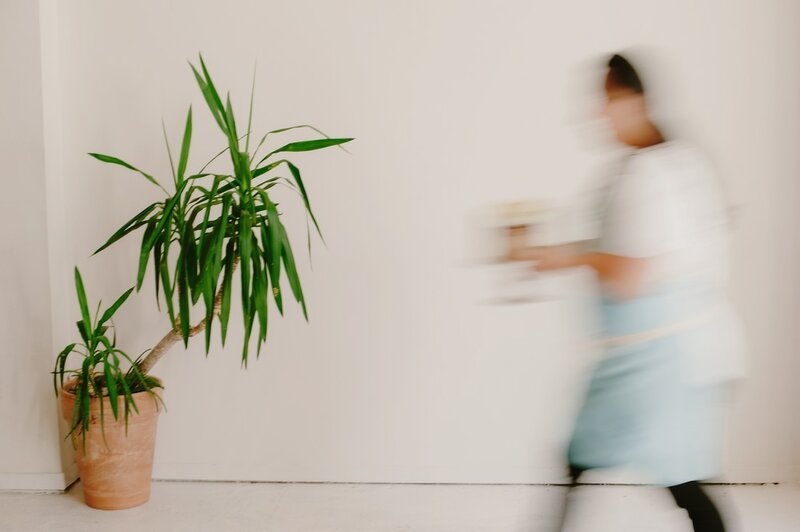 Throughout her career, she spent time interning, staging and learning from top chefs at Bouchon Bakery, and Jean George. 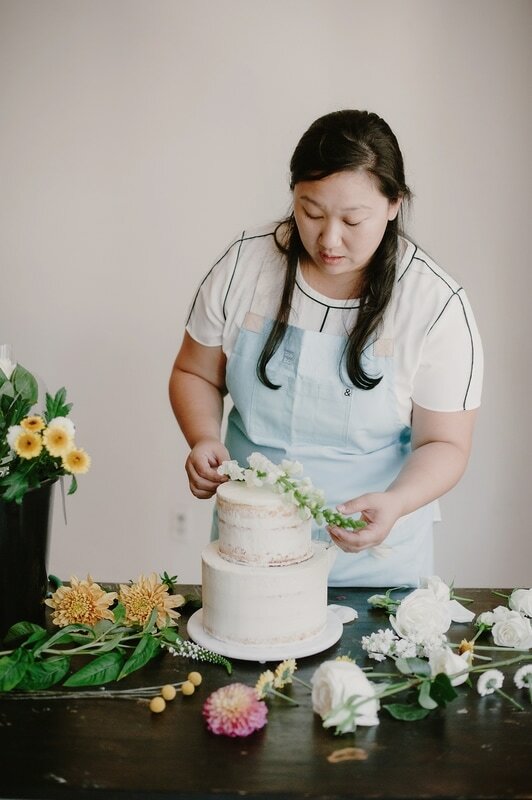 She started Blue Box Bakery as a side project, making cakes, cookies and other items for friends and family for holidays, weddings and other special occasions. In 2015, she married her college sweetheart and moved back to her hometown of Seattle, WA. After returning home, she decided to focus full time on Blue Box Bakery. 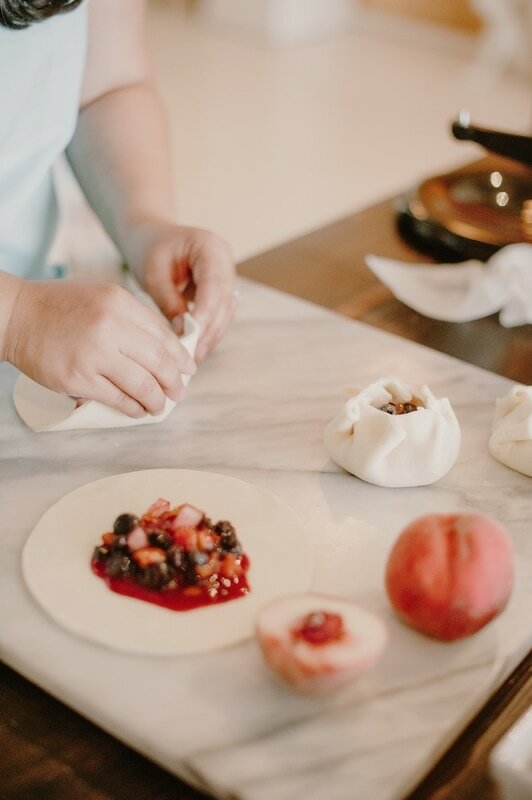 Blue Box Bakery started as a pet project for Pastry Chef Christina. Fresh out of culinary school, she found herself broke, with a large amount of student loan debt and Christmas was right around the corner. She found some inexpensive small blue boxes, filled them with homemade Fleur de Sel Caramels and tied a satin red ribbon on them. And so the tradition was born. As years progressed, friends and family would ask how to purchase them, because the one holiday box just wasn't enough... So in 2011, she created an Etsy site, and named it Blue Box Bakery. ​Over the years, the boxes have changed, the logo has changed, the ribbon color has changed, but the color and the product always remains the same! Blue Box Bakery specializes in Custom Wedding Cakes, Special Order Desserts and French inspired Pastries. We use finest local and organic ingredients, and have collaborated with some amazing local farmers to create some of our most popular items. While we try to source all of our ingredients within the Pacific Northwest Region, certain regional ingredients, such as Fleur de Sel (french sea salt) we get from their authentic regions (France) but through local Seattle Area purveyors. Everything at Blue Box Bakery is created in small batches to ensure the best quality of all products. Baked fresh to order, and made with care. Our Custom Cake studio is located in Bothell, WA and is open by appointment only.